For Forbes, Ryan Mac has written some of the drone industry’s seminal articles—covering DJI’s Frank Wang, Parrot’s Henri Seydoux, and now, Chris Anderson in “The Crash Of 3D Robotics, North America’s Most Promising Drone Company”. Ryan and Ian discuss the background of the 3DR saga, how the company burned through nearly $100 million, laid off 150 employees, and wound up where they are today. What really caused the crash of 3D Robotics? Click here to read the article, “Behind the Crash Of 3D Robotics, North America’s Most Promising Drone Company,”co-written by both Ryan Mac and Aaron Tilley. [00:00:37] IAN SMITH: Hey everybody and welcome to Commercial Drones.FM, You might notice already that the sound is a little bit different because I actually don’t have my recording equipment with me here but today I’m with Ryan Mac who’s a staff writer at Forbes And we’re here in San Francisco at Forbes HQ. Thank you very much for letting me borrow this recording equipment. We’re going to be talking about today a really cool and interesting subject. Ryan Mack just wrote a really nice article very intriguing article titled behind the crash of 3D Robotics. North America’s most promising drone company. And that was released I believe on October. Was it? the fifth. Just a really note, He co-wrote the article with Aaron Tilley who actually is ill so get get well soon Aaron. We wish he could have been here with us. So I’m sitting here once again with Ryan Mac. Thank you so much for joining us on the show today. [00:01:33] RYAN MAC: Thanks for stopping by. [00:01:34] IAN: Absolutely. My pleasure. So just a little bit of background. You’ve actually written two – so my list of favorite drone industry articles is a very very very small because most of them aren’t very super intriguing. They don’t have a lot of editorial panache to them. So you’ve written two of my favorite ones. One is the one we’re talking about specifically today the 3D Robotics one but also the article with Frank Wang actually, of DJI. So those were two really cool ones so how did you get started in journalism and how did you get started covering drones. [00:02:09] RYAN: Sure, so I worked at Forbes for about almost five years now and always at the SF bureau. So covering the technology industry in Silicon Valley as a whole and I write a lot about Amazon. And so when. [00:02:25] RYAN: Amazon, the company right. And when Jeff Bezos started talking about drones. Everyone remembers that 60 Minutes piece where he showed off these drones right before the holidays. I think in 2013 everyone freaked out and said like oh my god drones are going to be the next delivery mechanism like we’re going to see these things all over the place. I don’t think I ever bought into the hype but it certainly got me intrigued as to this industry and what that meant. And at that time I think consumer drones had just begun. Come into the forefront. I mean you started seeing phantoms every now and then in the air. 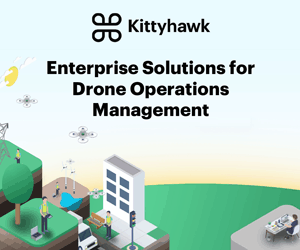 [00:03:03] And so that intrigued me and the next logical step for me at that point in time was to think well what’s the biggest company right now in this drone space. And and that’s higher eventually the DJI realized that these were this was a Chinese company in Shenzhen that very little people had written about. There’s not many people covering the drone space. And when you’re a journalist and you find an uncovered story that’s definitely something that you want to go after. And so we spent a lot of time and in reporting out that story send a colleague over to China to interview him in Chinese. And that was the kind of. That was how that came about. And ever since I’ve been covering the space. [00:03:43] IAN: And what we did was that whenever the Frank Wang interview? [00:03:45] RYAN: I would say that that idea started as a kind of kernel in early 2015 I believe, prior to them taking investment from Excel which is the Silicon Valley venture capital firm. [00:03:58] IAN: So like a million or something? [00:03:59] RYAN: Yeah a 100 million and like an $8 billion valuation. And so this is a company that literally came out of nowhere net and I mean not many people had heard about them and they’re arriving at an $8 billion valuation and that alone – I think that was in our story. I think that was a large part of our story and that really put them on the map and we were able to time like our reporting with that occurrence. [00:04:26] IAN: Yeah that’s crazy. It’s hard to it’s not hard it’s just impressive to realize back in like 2015, they we’re already valued at such a high valuation, 8 billion. [00:04:39] RYAN: I mean when you’re doing a billion dollars in sales it’s not it’s not hard to get there. [00:04:43] IAN: That’s true. We don’t get a lot of a lot of people don’t get a lot of like insight into how well they’re selling. But I mean the reason why we’re talking about this of course is because you’ve reported on the and I which will probably talk about a little bit more but also because DJI whether we like it or not played probably a very pivotal role and there was actually quotes in the story that you had written before the 3D-R or false story or the crash of 3D-R story about from Frank Wang talking about how he beat them when they were small and still beat them when they’re bigger. So it’s kind of come to fruition. So how did you come across this 3D Robotics story? I mean what why did you write it or what really, what event, was there an event that triggered this? [00:05:26] RYAN: So what’s interesting is actually the first time ever thought of a 3DR, I was actually reporting the DJI piece because in reporting on DJI you wanna think of the competitors in this space you want to know what this face looks like and you want to look and naturally you want to know what the largest company in the U.S. is if you’re a U.S. based reporter and so I arrived at 3DR are obviously talking people at Parrot but you soon realize that 3DR is kind of leading the way and this was back in in March 2015. [00:05:58] And so I remember that the meeting with Chris because it’s the lead of this this story that we published with . 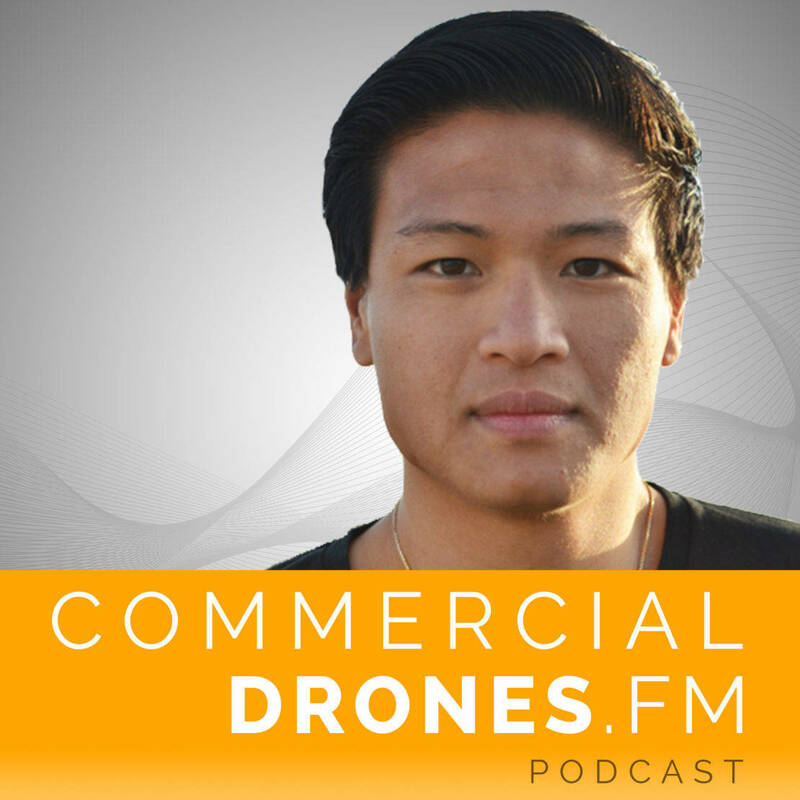 [00:06:03] RYAN: With Chris Anderson right, CEO of 3D Robotics, CEO and co-founder and we talked about drones on that day and kind of discussed the opportunity the quote unquote blue sky opportunity. There’s no drones in the air right now but in a couple of years there may be dozens of these devices doing multiple different tasks. Work for different companies in use cases. [00:06:30] RYAN: Right. And and I remember that vividly that that kind of discussion the story DJI kind of framed DJI versus 3DR and how they would how that would play out in the consumer space and selling drones to your average person who wants it for Christmas. Fast foward a year later, I started taking a look back at 3DR and realized well they’re not really doing too hot they’re not. This isn’t this company that was at 300 to 350 employees a year ago maybe has 50 people working for it. Everyone’s left. Sales aren’t great. Their devices are on disk heavy discount. [00:07:13] IAN: Three hundred and it’s like 300 and something dollars up right now…..
[00:07:16] RYAN: Yes. When you’re writing the story is a $400 with a gimbal at best buy and the day after the story I think it dropped to $400 with the Gimbel and now it’s 375 with the free gimbal, so yeah. And these were devices that were selling for more than $1500 when it when it first came out. [00:07:35] IAN: Speaking of – the gimbal is actually a really important part of this entire narrative because from what I understand and what I know and experienced is DJI the reason one of the reasons why they became so dominant was because of their mastery or innovation in the gimbal technology – making it so easy to use making it so you don’t have to. I mean I came from setting my own PIDS on the gimbal and programming my own and doing all the settings and getting it all right. [00:08:08] Then DJI came out with like the – I forget what it’s called something 3D. Whatever the gimbal name was and then that really revolutionized things and fast forwarding to the release of the solo. When you bought one when it was announced you couldn’t even get the gimbal because it was like two months delayed or something and then whenever they did whenever three robotics did release the gimbal for the solo and allow it to be to be purchased or shipped out people had to physically install it so I remember watching the video with Collin – explaining how to easily quote unquote easily install you or your 3D robotic solo gimbal and it was just almost anything but easy. I mean those two moments are I guess important things to note. 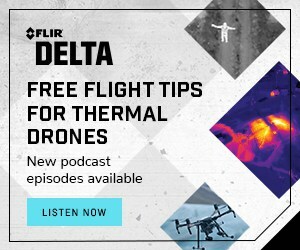 [00:08:55] RYAN: I think anyone with anyone listening to this podcast knows that 90 to 99 percent of drones are used for imaging visualization purposes. And Frank Wang realized that very early in fact he he knows that his secret sauce was in his three axes gimbal – not his. Not the phantom per se. And so when the solo shift without the gimbal I think it was like a two or two month lag. I mean I remember them shipping with that kind of plastic holder for the GoPro camera. And you would if you remember that. [00:09:32] IAN: The little mount, yeah. [00:09:33] RYAN: You just had – and like . [00:09:35] IAN: Tighten it up. [00:09:35] RYAN: I just remember like people – the people actually bought it. We’re just like so uninspired by that because you could go out and buy this cheaper Phantom which was only for $1,400 at the time compared to their $700 price point if you had to buy a GoPro with it and you had this working gimbal on the Phantom. Meanwhile you had this kind of fixed plastic mount on a – And so there was nothing. Everything that they had promised with their smart shot and everything you could do that. It’s a it’s a classic case of over promising and under delivering thing. [00:10:12] IAN: I think that’s a trend in the drone industry. I mean you see companies like Lily who over promised and I think are still yet to deliver I mean missing deadlines and things is one thing but having the technology just not work as you describe it is another. And so I mean it’s it’s in the video game industry too if you look at it like a company called Hello Games doing no man’s sky like I has like the worst steam rating ever now after release and like so many people bought it. I mean you can’t really get away with that kind of stuff in this day and age. I don’t think it was. Obviously I don’t think it was intentional they had by all means they meant to to release this correctly and on time. But maybe they just underestimated their ability to do so. [00:11:01] IAN: So getting all of the information behind the stories in the in the actual story on the Web site on Forbes.com. It’s says that you guys had access or got access to. I forget how many ex-employees of 3D Robotics? [00:11:16] RYAN: We contacted probably anywhere from, say more than 30. A lot of folks want to talk at the time for whatever reason I don’t know if the signed NDAs. But I mean a lot of people just don’t want to talk about a bad experience that they had when we managed to over the period of a couple of months talked to 10 former employees as well as Chris Anderson himself. And so that helped shape kind of a clear picture of what was going on. [00:11:50] IAN: I was wondering when I was reading the stories if the quotes like were from current Chris Anderson or from past. So you contacted him and I guess you guys were just like hey I’m writing a story on this? [00:12:02] RYAN: So it’s kind of funny. Well I mean in the beginning quote was from a year ago because that was when we were talking a year ago in the reporting process that somehow he had gotten wind that we were asking questions about certain things and he actually reached out to us and we had a phone conversation with an put together like an email list of questions that we e-mailed to him later on in the process so to follow up and he declined to comment on those after – I guess you kind of get an understanding of where the article was going. You’re seeing those types of questions. [00:12:40] IAN: Yeah totally. Well he came from the journalism industry himself, so I’m sure he’s always noticed that was going so. OK so Chris Anderson did contribute to the story. So that’s cool. So how long? What was the like how long was this process? Are we talking like six months? [00:13:02] RYAN: I mean this has been an idea for me since – probably the end of the holiday season last year. So I saw kind of some of the sale numbers, saw that a lot of the players had taken a hit even DJI didn’t have a great holiday season last year. And so I wondered kind of where like what where does that leave someone like 3DR? And in March I had heard rumblings that people were going to get laid off and there was that layoff story. And so I kept an eye on it. I actually kind of wanted to do the story earlier and things came up. And throughout the summer we saw people leaving. [00:13:42] I saw a lot of people changing their employment on LinkedIn which is not a good sign. So basically a lot of the C-suite leaving whether it was first it was a CFO the COO had changed a couple of times. Jeevan who was named president stepped down. And then Colin Gwyn who is the Chief Revenue Officer out of Austin and a former DJI exec. also left in September and so, that’s not usually a good sign if you’re a successful company. [00:14:17] IAN: It’s never a good. I think it was an e-mail that leaked out too that was circulating. [00:14:23] REYAN: That was in March. I think that was one that those layoffs were reported and that was giving out too and I think it was the right time to do a story like this because you don’t really have a clear picture. And I think people continue to leave after that point. [00:14:38] IAN: Yeah I would imagine there are some people who were laid off that saw some bad news and saw the ominous clouds forming. So what was like the general sentiment of most of the people? was it like neutral? mostly negative? some positive? high notes? I’m sure the’re always obviously. [00:14:59] RYAN: I think it was almost this kind of bittersweet feeling. We talked to employees from all the offices so that included Austin, Berkeley the headquarters, folks from San Diego and Tijuana. And actually that was kind of interesting and we didn’t really mention in the article but the fact that there was so many offices led to a lot of conflict in the company. [00:15:21] IAN: Take note drone startups. [00:15:22] RYAN: Any startup, yeah. It’s hard to communicate across that many people, across many offices. But the sentiment was I mean there was a company that had raised $100 million. The most well-funded drone startup in the country and there was a lot of promise here. There were a lot of smart people a lot of people that really wanted to do something dramatic and move this industry forward and do things that Chris Anderson did talk about in his keynote speeches at these conferences. And it just came down to mismanagement, failed projections, a lot of internal strife as well that just like. Just ruined what was a very promising company and probably in less than 18 months. I mean the collapse was pretty quick. [00:16:17] IAN: Are you allowed to say if you had any of the previous executives that you guys were able to interview? or if you prefer not to. [00:16:24] RYAN: Well I probably shouldn’t -I shouldn’t say who the sources were. [00:16:29] IAN: No, no. Not the – Definitely don’t want any names obviously . [00:16:33] IAN: Just curious how deep it the knowledge right. Well either way I mean I think it’s super interesting and it’s definitely if a 100 and completely 100 percent like have the whole story at least quite a bit of it from underneath. A tip of the iceberg. [00:16:51] RYAN: I think that the telling sign actually of the sentiment here is we actually received a lot of folks that didn’t want to talk to us. They said like ‘oh great piece that captured a lot of what I was feeling. [00:17:04] IAN: After it was published. [00:17:05] RYAN: Right after it was published. We had people that contacted us that we actually didn’t reach out to at all that that said like that was accurate. And appreciate you writing this and telling this story and so that gave me a kind of. A good sense that we were at least fair and balanced I mean try to like capture the right atmosphere here or what happened. [00:17:32] IAN: Oh that’s good feedback from a journalistic standpoint. So throughout 150 lay offs, over 100 million bucks in VC funding what was the most intriguing part of this story to you? If you can pick something specifically. [00:17:51] RYAN: Yeah. I think the most intriguing thing for me. 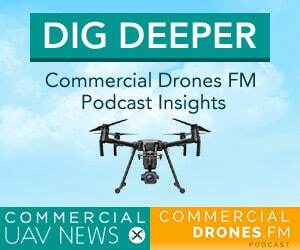 I thought – I was reporting this, that the the fact that DJI tried to come in and buy 3DR are was one of them more like jaw dropping things for me. So there was a conversation between Frank Wang of DJI and Chris Anderson at 3DR’s headquarters in Berkeley, right before Solo had launched and there was an offer put on the table and Chris declined according to some folks that were. Saw that meeting happen. That was very interesting to me. [00:18:29] Some of the inside baseball kind of set to the idea that they were pursuing other projects on the Solo. The there was a mini Solo that was on the docket as well as a kind of larger industrial Solo that was more of an enterprise play that was on the docket and slated to be built out, but. [00:18:46] IAN: That could’ve been a really interesting if that actually pushed forward. [00:18:49] RYAN: They just didn’t have enough money. Like they had sunk everything into the manufacturing of a Solo 1. I think that was a surprise to me. The $100,000,000 is so much money if you’re a startup. I mean that’s a lot of money. And the fact that the majority of that was sunk into the cost of manufacturing Solo and how quickly that tanked the company is one that that’s something I just can’t wrap my head around it. [00:19:22] IAN: Of the $100 million in VC funding. What percentage of that do you think went to the filming of the monkey video? I mean those monkeys must have had pretty high salaries. I don’t know if that was discussed. I was always – I mean that was a pretty amazing video but it seemed like it was in seemly like almost unnecessarily expensive to film that launch video of the Solo. And it was like at least three plus, seven, eight minutes long, something like that? It was a nice piece of video videography. [00:19:59] RYAN: I think the marketing game is one that that Collin tried to mimic after coming from DJI, I mean there was so much marketing to build up 3DR and it almost copied the DJI America playbook, as well as like what they were seeing can GoPro like having these like very dramatic, very big videos that would kind of go viral on social networks. Yeah I don’t know how much money was spent on those things. [00:20:29] IAN: DJI ? what kind of? I can’t, I’m trying to think of a viral DJI videos. [00:20:35] RYAN: I mean I think those are like user generated content, like stuff like – kind of push like whatever that’s like the photos of like a whale from above. Just like those early drone videos that are just never being shared throughout networks. I think is the things that comes to mind. [00:20:54] IAN: I’m a little jaded now when it comes to aerial video. It has to be really good to get my attention because there’s just so much out there now. [00:21:02] RYAN: You remember the guy – there was several that flew over volcanoes with like early Phantoms or it might have bee with Inspire. But I think some of those videos were kind of truly breathtaking. [00:21:16] IAN: Yeah that’s true. You can’t like, I don’t know, like I’m just thinking OK if I’m looking DJI vs 3D Robotics. Like who makes the best aerial videos? Which marketing team does the best ones? I mean it’s almost like you can’t even really, you know if you look at it now it’s like they just look the same. So I guess it’s all in how you spin it kind of thing. [00:21:40] RYAN: Right. Which actually speaks to like the idea of like the commoditization of these things. I mean at the end of the day if you’re a user you don’t really care, how you’re getting the video – it’s if you’re getting -like what kind of video you’re getting and everyone’s providing the same content, I guess for the same quality, you’re going to you’re going to buy the cheapest thing on the market. [00:22:01] IAN: Here’s a thought. So after doing this story and doing this research on 3D Robotics. There’s a little company called GoPro and they just released their first foray into the drone industry. Targeted very heavily in their marketing towards hobbyists. I don’t think there’s a single mention of like a commercial aspect unless you’re a literally like selling your surfing videos or surfing pictures. [00:22:31] Obviously they must have paid attention to the 3D Robotics story and I’m sure there’s plenty of people that GoPro who read your article on the crash of 3D Robotics. Do you think that there’s a lot of things that GoPro has learned? or I mean looking from the inside of developing this story, I guess I’m just trying to maybe, I’m trying to say in more words than none is. Is GoPro going to end up like 3D Robotics battling DJI? [00:23:04] RYAN: So there’s a couple of things there. And actually the connection between the two companies is there’s a lot of connections. The head of Karma actually came from 3DR. [00:23:14] RYAN: This guy named Pablo Lema, who is in a lot of these Karma launch videos, he actually was a 3DR engineer or product manager, I forget what his position was but he was poached from 3DR. And of course there was the relationship between the two companies. When Solo launched, they had actually integration with the GoPro. GoPro camera. [00:23:42] IAN: Yeah that’s right. [00:23:43] RYAN: If you remember there was – you could control your GoPro camera settings from your Solo – in your solo app. And that was something that was marketed. So like I think on box. [00:23:53] IAN: Business development there. [00:23:54] RYAN: Yeah on the boxes of the Solo and I think it was like – oh works with GoPro. And I think that was like one of the few outside like hardware integration that GoPro did. So there’s a lot of connection with these companies – whether GoPro learned from 3DR? I don’t know I think the story came out a little too late for them but I mean it has another side of its business selling those action cameras and accessories and stuff. [00:24:23] And so I think it has its reputation for innovation relying on how successful its drone is but I don’t know necessarily it’s business relies on because they can still sell cameras and they can still sell accessories. I don’t know if a drone will completely collapse GoPro. [00:24:47] IAN: What’s Frank Wang like? Is he completely ruthless? because I mean a new competitor enters like player 2 has entered the arena now, or player 3. And so I mean after being involved in an interview process with Frank Wang. I would imagine – this is just me that he is like ready to just shut them down. [00:25:09] RYAN: So it’s actually interesting. I actually never met Frank Wang, we sent my Chinese speaking counterpart and colleague to go interview him in Mandarin because that’s what he’s most comfortable in. But I saw the transcripts and he said we’ve actually – the stuff that didn’t make the story excerpt into a longer Q&A which is online and he said some pretty interesting things about competitors. [00:25:32] I mean you’ve got to remember this is a guy that’s been he’s been in the industry longer than anyone else. He’s probably had like a three or four year head start. And so he’s seen everything he’s been able to make all these missteps and he’s able to see like – I mean the other problem is that these companies will have so the company could come charging in pretty hard with a lot of money and he’ll predict – Oh they won’t be around in a couple years because they’ll hit this problem or we have manufacturing advantages over them and and the guy is just an extremely extremely hard worker. [00:26:06] I mean DJI is known for having a culture where people stay very late. I mean his office actually has a bed in it, in a side room. And this is something – I think it was in our story. But he has like this bed he sleeps in, if he doesn’t want to go home at 3 a.m. after working on his next project or whatever. So this is a guy that is tenacious. He idolizes. He actually idolized Steve Jobs and he wants to be the kind of Chinese Steve Jobs of drones. [00:26:45] IAN: I think a lot of what the public really learned about DJI and the psyche of Frank Wang, actually came from your article and I know I, now that I’m sitting here talking to you I know that I’m referencing like these stories that I know like – DJI has such, they played a huge role in this story and Frank Wang behind the scenes in his own mind was like obviously talking about you know that he was quoted as saying ‘when we were small we beat 3D Robotics and when we’re big will still be 3D Robotics. I mean I’m paraphrasing there but. [00:27:17] RYAN: And remember when he says they were small I mean they were so much larger than 3-D robotics. [00:27:23] RYANK I mean they were doing tens of millions, over a 100,000 million dollars in sales. When 3D Robotics was like hiring its first set of engineers right. So it’s like. [00:27:32] IAN: So it was because everyone just like compared 3D Robotics to DJI and so now it’s going to be like – oh GoPro or maybe Parrot. Yeah this just gets deeper and deeper. [00:27:44] RYAN: I think the lesson to take away is if you’re going against DJI head on, it’s going to be a very very tough. There’s manufacturing advantages. [00:27:52] IAN: Prototypes hot off – literally like warm in their hands whenever they’re getting them from the factories and like testing it out – the Mavic pro that they just released is just incredible. I can’t even. So I did a couple of podcasts on – I did the GoPro launch and I kind of like dissected that and analyze it and I did the Mavic launch a week later and the technology that they have in there. I’m looking purely mostly from a commercial perspective at least regards to the podcast and what my day job is. [00:28:25] But like the technology in that three axis gimbal that made them so powerful and allowed them to do such great things is insanely shrunken down. And I was shocked that it was actually 3 axis. So I thought it was – well from the leaked images maybe the Mavic pro will actually have to access gimbal – turned out to be 3 axis totally blows my mind. They’ve got Movidius chips in there who Intel just bought back in September. [00:28:50] I just realized after reading your article and seeing some more intel announcements I didn’t see the Movidius acquisition from Intel. They just released their ascending technologies Falcon 8 rebranded drone. But yeah the technology in there in the Maverick pro is just ridiculous. So if someone really wants to compete with DJI, What do they have to do? [00:29:11] RYAN: Yeah, you almost want to – I think, I saw those announcements and when you’re press, you kind of get a heads up on it these announcements ahead of time and you almost think like DJI wanted to let GoPro announce first and then steal the thunder a week later you know, smaller drone, cheaper…. [00:29:33] IAN: More features, better price, available first, cancel your pre-order – Hey, it comes out in two days from when we’re recording actually. That’s cool so people start receiving theirs. I know other people have already started getting them. [00:29:45] RYAN: Even Phantom 4 launch was timed, because originally the GoPro drone was supposed to come out earlier, Karma was supposed to come out earlier. And if you look at the timing of – I had this conspiracy theory that DJI timed its Phantom 4 launch to beat Karma to market when it was originally supposed to go. And so when that didn’t happen, I don’t know. They had Mavic as their ace in the whole I guess? But that’s my kind of conspiracy theory. [00:30:13] IAN: Draw your own conclusions folks. I mean this is a masterwork of strategic business competition here. I love – I mean the whole story I just love it so juicy and great. Lots of drama and excitement because that’s what we love is drones. [00:30:31] General thoughts on the commercial side of things I mean what stories as a journalist yourself, professional journalists. What stories intrigued you most about the drone industry these days? 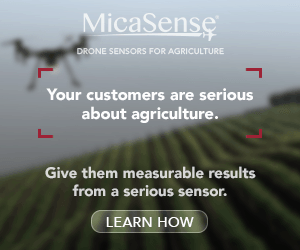 Is it more of like the business side of things or like the use cases of drones?. I was looking at your bio and you previously – maybe you still do like the world billionaires and Forbes 400 list. I mean does that have? What’s your style here. What’s your? – What gets you going? [00:31:03] RYAN:I don’t even know anymore. I like to find stories that are under-covered. And given that I’m here there’s so much in Silicon Valley that isn’t written about. And I like tend to focus on companies and how they’re doing. If it’s DJI and no one’s written about them and they’re crushing it. You want to write about it. It’s 3DR and no one’s written about it and they’re not doing well. You want to write about it. So. Yeah it’s kind of that – I get this hunger to do stories that are uncovered. Whether that’s the drone story or not a drone story. That I hope – is that kind of where you’re going? [00:31:46] IAN: Yeah, no totally. [00:31:46] RYAN: I don’t know, like my thought process with stories is kind of funny. Within the drone space, I remember interviewing Henri Seydoux, the CEO of Parrot and a year ago he predicted – I think this is the headline of a story I wrote online – 2016 will be a bloody year for the drone industry and he predicted that like spot on. Like his company took a pretty massive hit on sales this year. Look what happened in 3DRs. [00:32:19] I don’t know if there’s going to be more stories like this. I don’t know – I should probably should tip my hand too much. Yeah I don’t know if there’s other companies that don’t make it or companies that are bought or companies that pivot. [00:32:34] IAN: Delair-Tech, my old employer where I actually met Henri Seydoux there because Parrot had actually invested in Belair-Teach. Smart guy – I mean he’s not the CEO and founder of a super successful consumer electronics company for nothing and continuing to push. Was that your article? did you do a piece on him, like specifically on him? [00:33:02] RYAN: No it was on him. It was with an interview where he kind of the headline was like. Such a juicy headline is like, here I just brought it up ‘Parrot CEO predicts bloody year ahead for drone companies. [00:33:17] IAN: Was that yours? [00:33:18] RYAN: That was in November 2015. Almost a year ago. [00:33:21] IAN: You’re gonna to give me some tips on how to write really juicy headlines. [00:33:25] IAN: I sit there for like 10 mins trying to write the headline of a podcast. I’m going to draw some inspiration from your very nice headline ‘Behind the crash of 3D Robotics North America’s most promising drone company’ – That is a nice headline. Awesome man and so do you own a drone yourself? [00:33:47] RYAN: Yeah I kind of get things to test out so I kind of rotate now and then. [00:33:54] IAN: Oh nice, but you ever did like the reviews on them or you just gonna test them out. [00:33:57] RYAN: No I don’t do reviews. Sometimes I get stuff that people send and sometimes we do reviews. But yeah right now what am I flying? We have like a Bebop.Yeah. Yes. But I’m not a big collector of these things. I think it’s – A. I’m a journalist I don’t have any money, I can’t afford these things. [00:34:21] IAN: San Francisco journalist nonetheless. [00:34:22] RYAN: I don’t know maybe I’ll go get a Solo now. It’s like 370 bucks. [00:34:27] IAN: So I guess my last question would be so – I was just thinking about this. Did you ever? – once your story is out like OK you did the Frank Wang story, you did the 3D Robotic story. We already heard that you received some feedback that like kind of acknowledged – Hey you captured the essence of what we are feeling. Nice job. Tip of the hat. [00:34:49] Did you ever hear from like Frank Wang after after your story or did you ever get any like any positive reinforcement? [00:34:56] RYAN: No we didn’t. In fact I kind of heard from someone that he didn’t like the story which I think is fine if you don’t like the story. Yeah he didn’t like some of the characterizations of that piece. But who knows? [00:35:08] IAN: Maybe we’ll get him on the podcast. [00:35:10] RYAN: Yeah maybe he speaks English too, for what I know. [00:35:13] IAN: Excellent yeah. Should reach. [00:35:15] RYAN: I don’t know what his PR people will say. [00:35:18] IAN: I think I’d have to go through about 12 layers of the onion just to get to his. [00:35:23] RYAN: He rarely travels outside of – I don’t how much he travels. He’s known to stay within China obviously. [00:35:31] RYAN: I mean he doesn’t do like the company events or anything. [00:35:35] IAN: Yeah. No he doesn’t go up on stage and do all the announcements. Michael Perry kinda handles that. Well Ryan thank you so much for giving us some of the backstory on both of those stories and some of the other stories. I’ll definitely be watching to see what you come up with next. I really want to keep in touch on that kind of stuff. And if you guys want to keep in touch with Ryan as well you can follow him on Twitter @rmac18e. What’s Forbes Twitter? Is it just @Forbes. ? [00:36:12] RYAN: I think – hopefully we own that that handle. Yeah @Forbes. [00:36:16] IAN: You can check out @Forbes as well if you want to check out some other stories. But if you want to follow the podcast follow us @dronespodcast on Twitter or Facebook.com/dronespodcast. [00:36:28] Give us your feedback. Shoot me some questions maybe I can get some stuff answered if there were some loose ends and I can hit up Ryan and see if we can get to the bottom of some more stuff here. But yeah hopefully we can have you back on the show at some point. Thanks everybody for listening. Any last thoughts Ryan before we go ahead and cut off the mics?. [00:36:47] RYAN: No I just tweet at me with any good stories or any ideas. Always happy to hear ideas. [00:36:52] IAN: Do you go to any of the drone conferences or anything? [00:36:55] RYAN: I find them sometimes to be repetitive in their speaker lineups. [00:37:00] IAN: Yeah. That’s true. I’m going to be at the Commercial AIV Expos, so if you’re there in Vegas I’ll see you, if not no worries. [00:37:07] Cool. Well hey everybody fly safe. Thanks for listening and we’ll catch you on the flipside. Cheers. [00:37:13] RYAN: Take care guys.